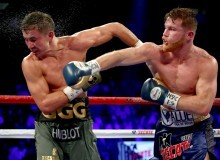 Mexican boxing star Saúl "Canelo" Álvarez and Kazakhstani professional boxer Gennady "GGG" Golovkin, will meet again for a rematch soon. Learn here when to watch it! 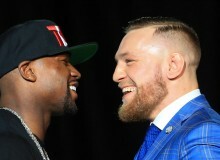 After Oscar De La Hoya said the boxing fight between Floyd Mayweather and MMA Conor McGregor was a "circus" act, he called out McGregor for a fight alleging he is stronger than ever. Latin Times spoke with famous psychic Mhoni Vidente about the upcoming boxing fights between Canelo Vs. GGG, and Floyd Mayweather Vs. Conor McGregor. Learn here everything she said! Floyd Mayweather is taking care of every single detail of his fight against Conor McGregor. 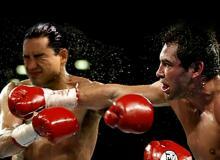 Both athletes agreed not to use gloves from Mexico, and we know why! 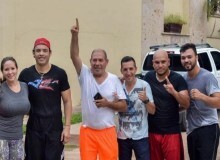 Mexican boxing legend Julio Cesar Chavez's brother was killed after resisting an assault in Culiacan, Sinaloa. 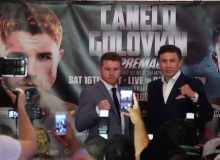 Saul "Canelo" Álvarez and Gennady Golovkin presented their September 16 fight in Las Vegas. Find here all the details of the future encounter. 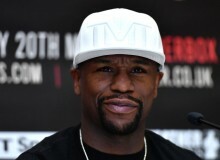 A week after Saúl "Canelo" Alvarez defeated Julio Cesar Chavez Jr. in boxing, Floyd Mayweather gives his opinion on the controversial match. After his terrible performance in the boxing ring, Julio César Chávez Jr. went to seek comfort with prostitutes. 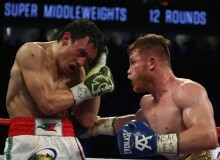 Start Cinco de Mayo celebration early with the mega-fight between Canelo Alvarez vs. Julio Cesar Chavez, Jr. Check here where, when to watch and enjoy even if you are not in Las Vegas. 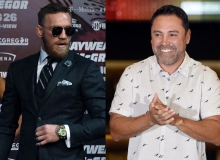 Did Oscar de la Hoya just make a comeback to the boxing ring? Here's all the information you need of his fight with Mario Lopez. 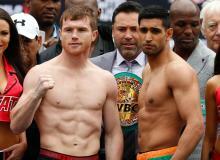 Saturday, May 7, Mexican fighter Saúl 'Canelo' Alvarez faces Britain's Amir Khan in an epic boxing match in Las Vegas. Find out how you can watch via live stream. Is Jorge 'El Travieso' Arce Free Of Sexual Assault Charges? Jorge "El Travieso" Arce returned to his job as sports newscaster for Televisa Deportes and made unclear statements about his sexual assault accusations. 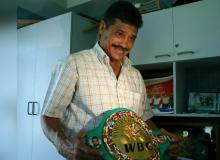 Alexis Argüello was a Nicaraguan professional boxer and politician.